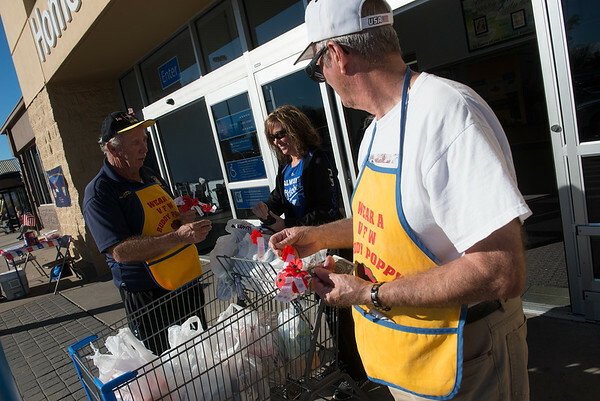 Kathy Wrensch, Carl Junction, gives a donation for a Buddy Poppy to Volney Bill Phillips, left, and John Tipton, both from Joplin VFW Post 5293, at the 7th Street Walmart on Friday. Donations for the poppies go to help veterans in need. VFW members will be handing out poppies today at the 15th and 7th street Walmarts.